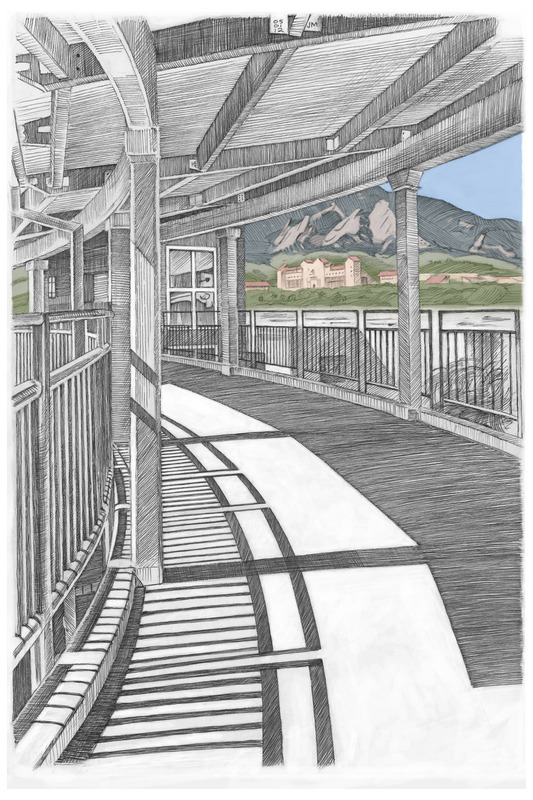 I went to CU Boulder from 1982 to 1987 and received a BFA in art and art history. 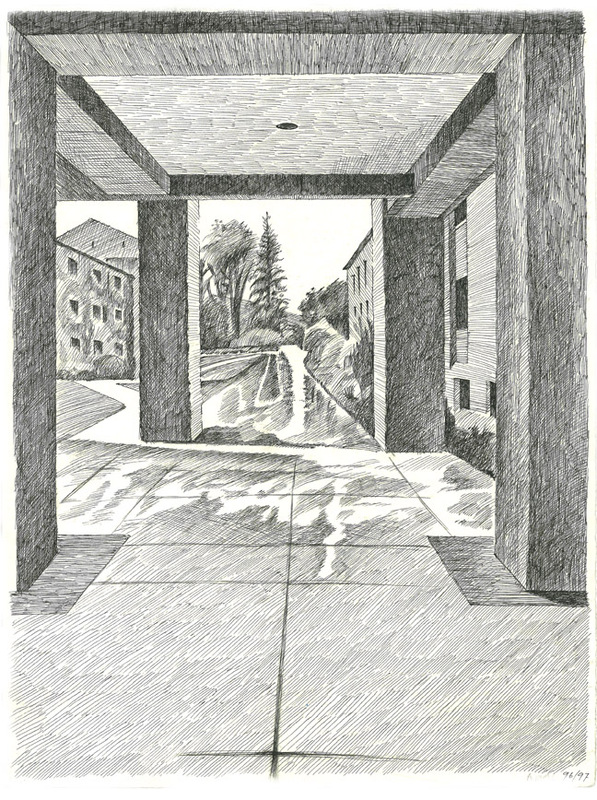 I did a lot of sketching in my undergraduate years, of places like the interior of dorms and the library, and all the great architecture. 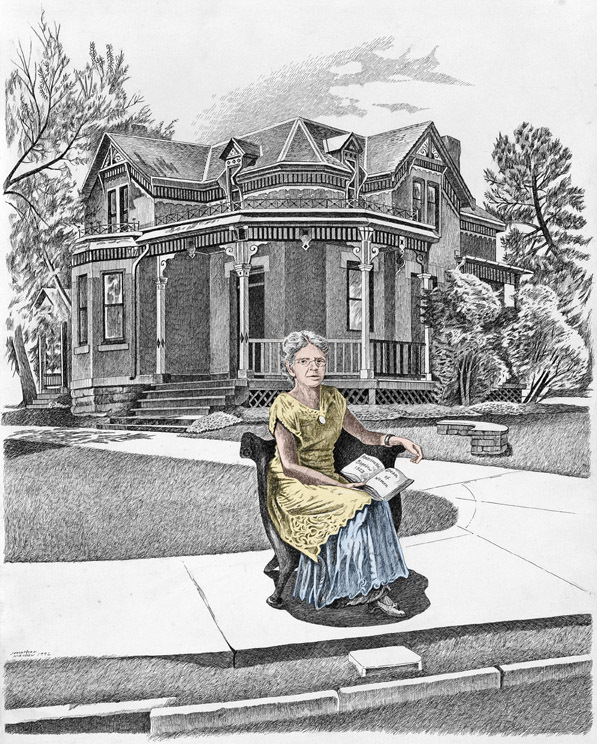 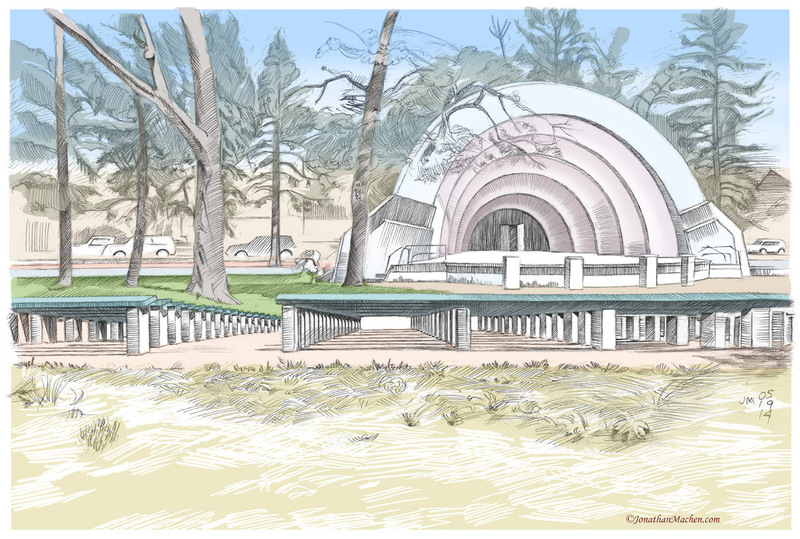 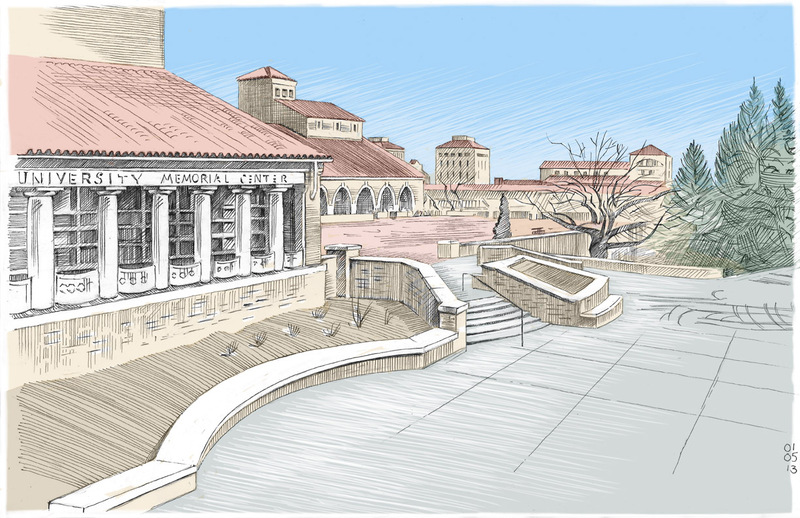 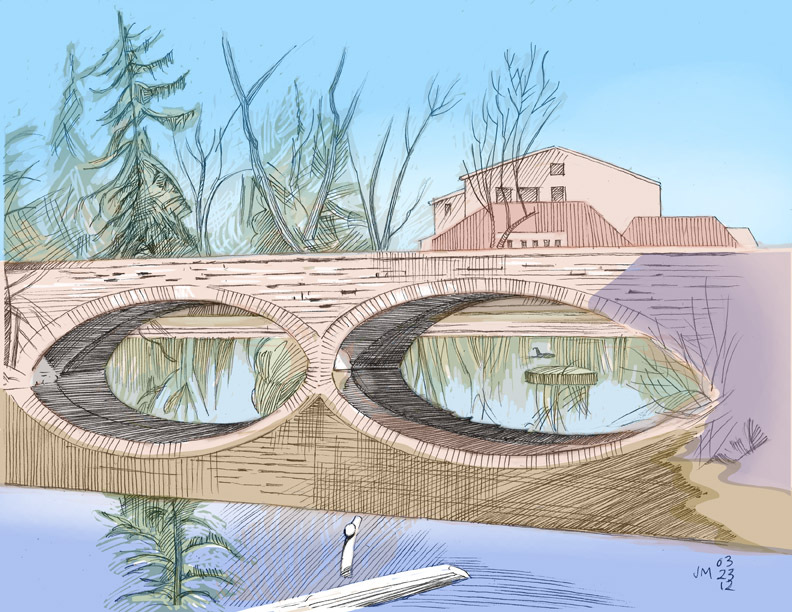 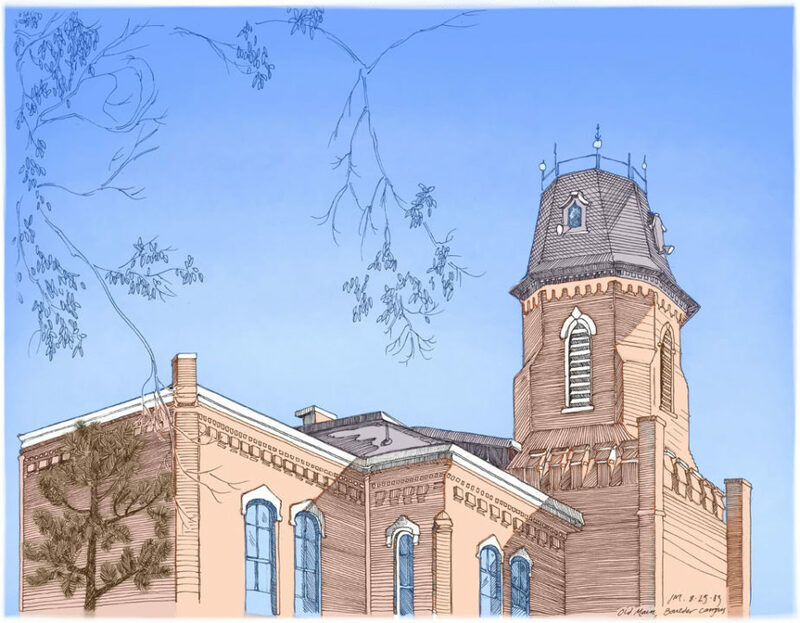 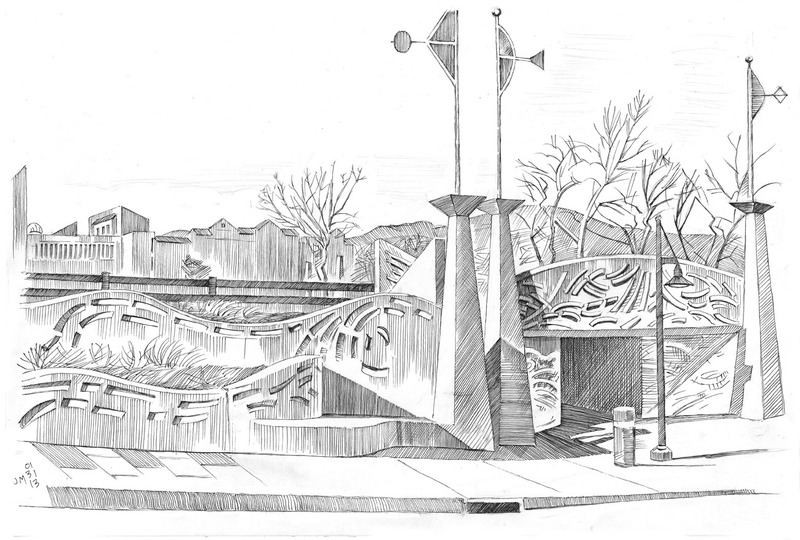 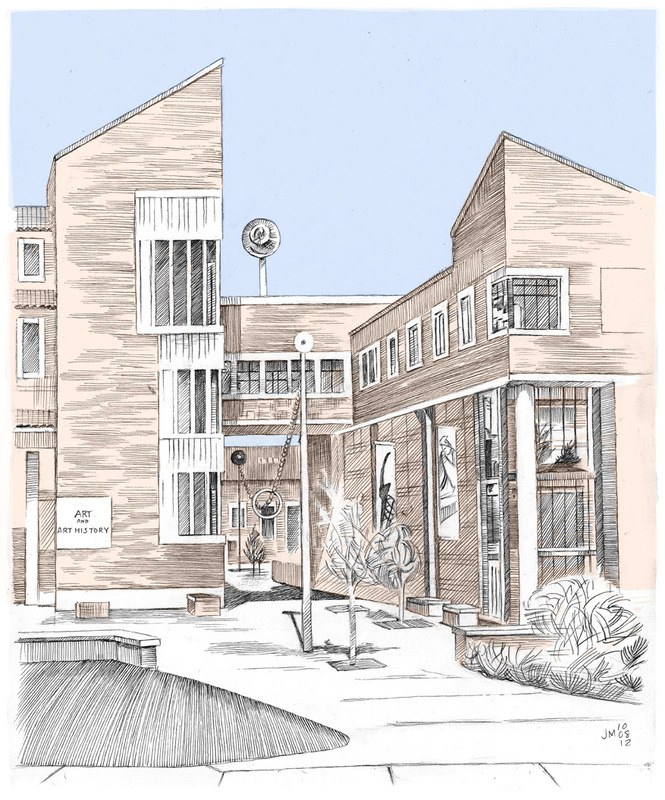 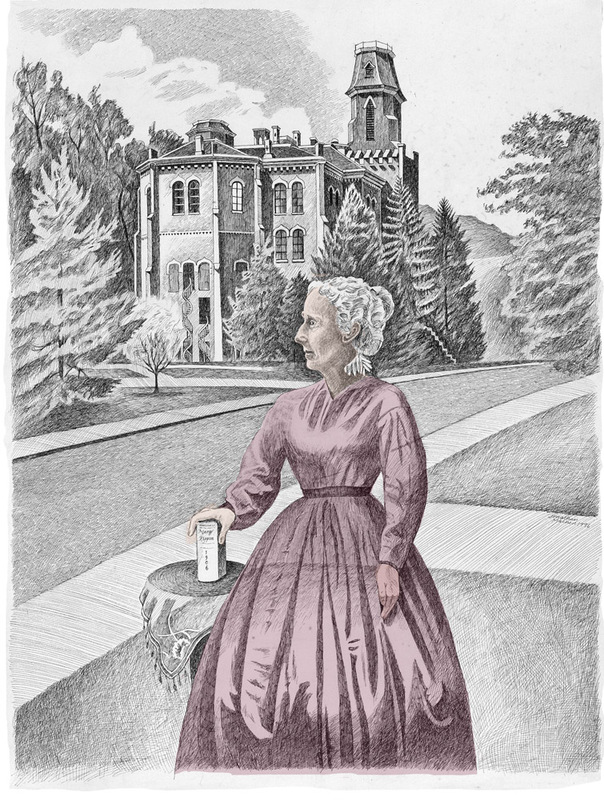 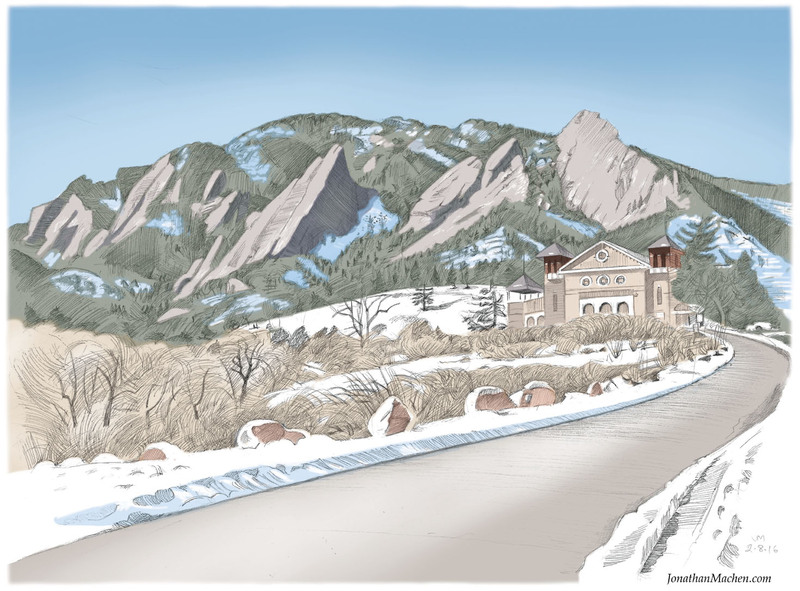 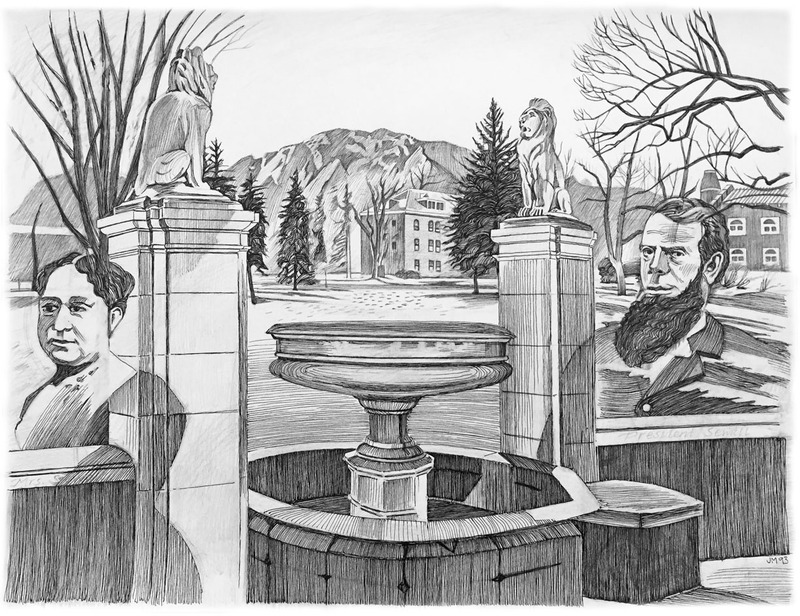 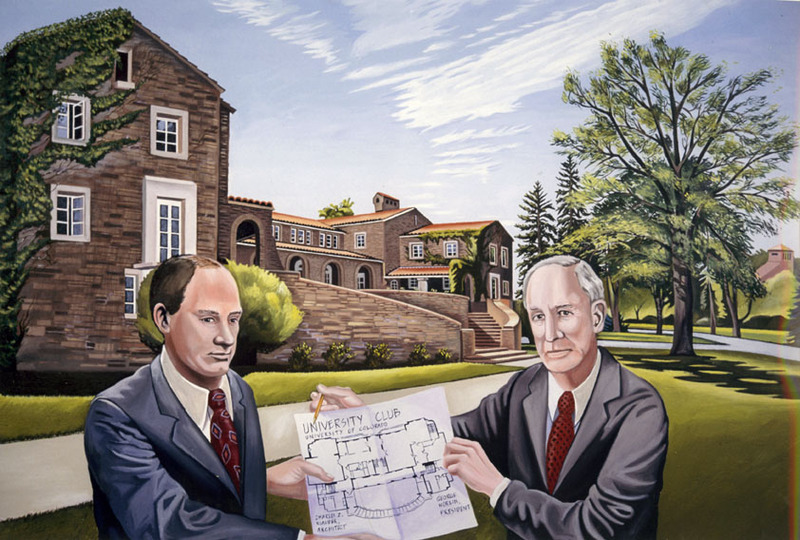 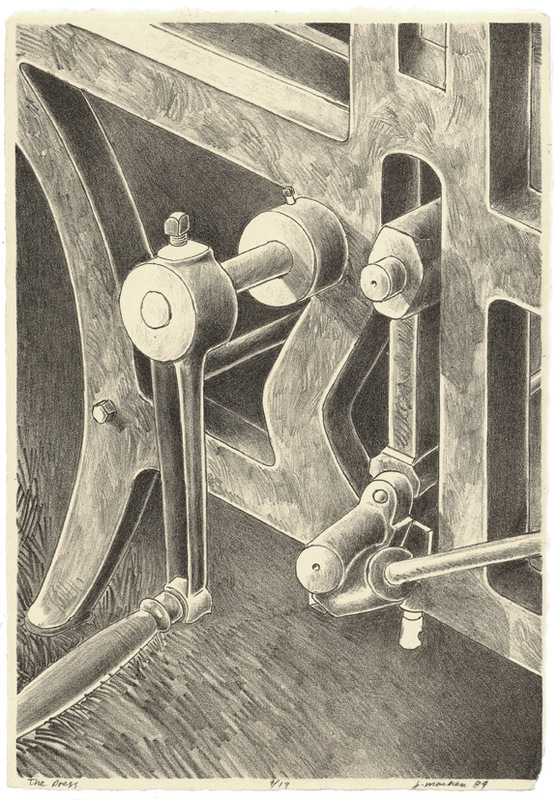 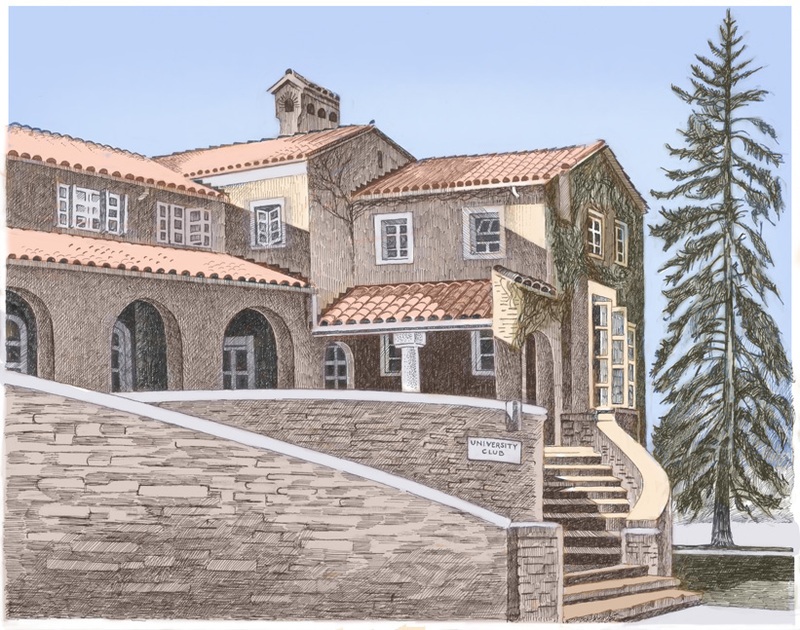 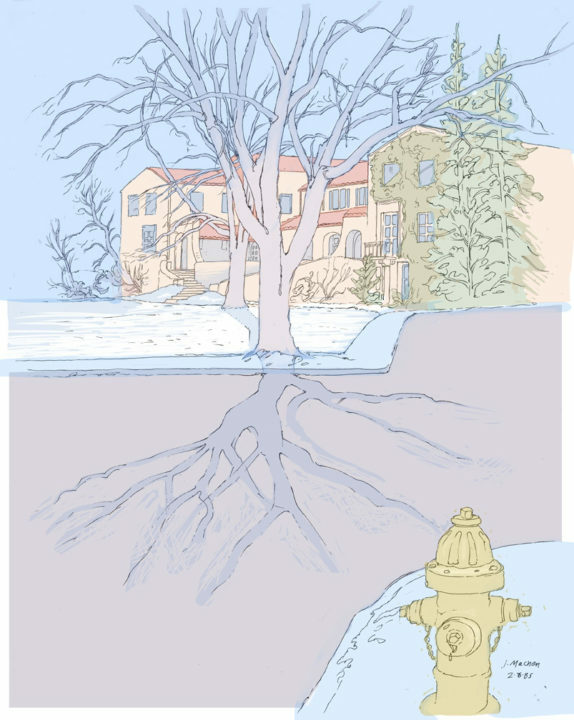 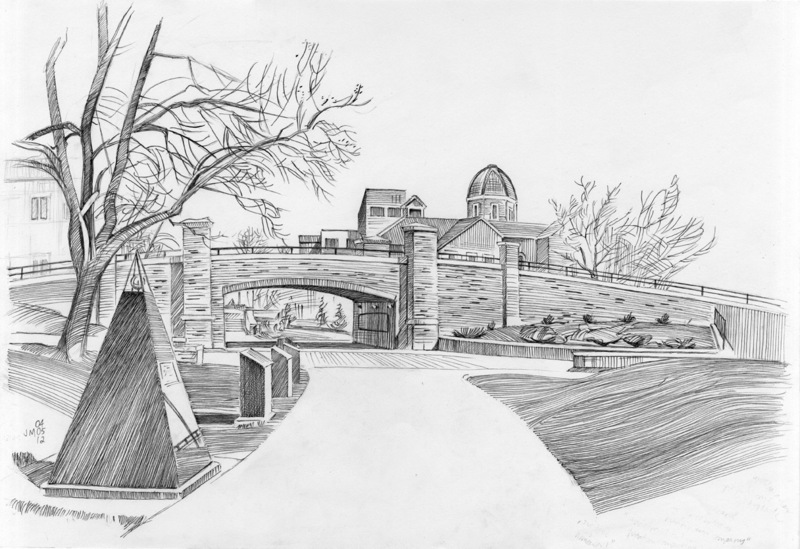 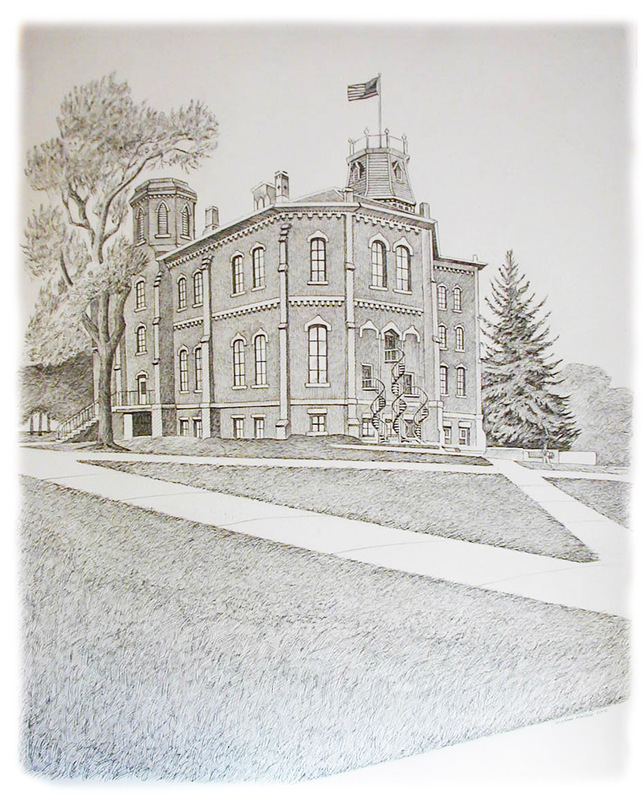 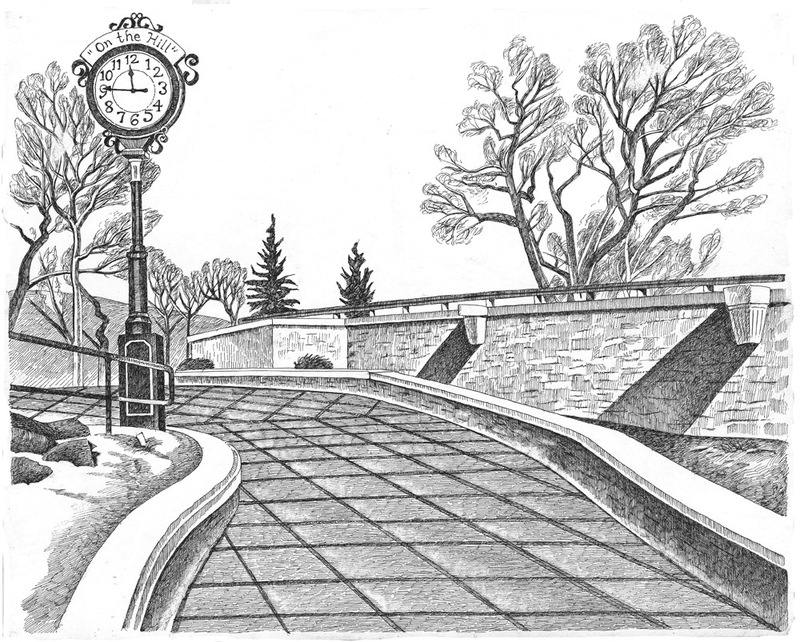 Seven years after graduating, in 1994, I received a commission from the housing department of the University of Colorado for 7 large pen-and-ink drawings and one painting connecting the architecture on campus with some of the people who were instrumental to the university: in those drawings I combined architecture and portraiture. 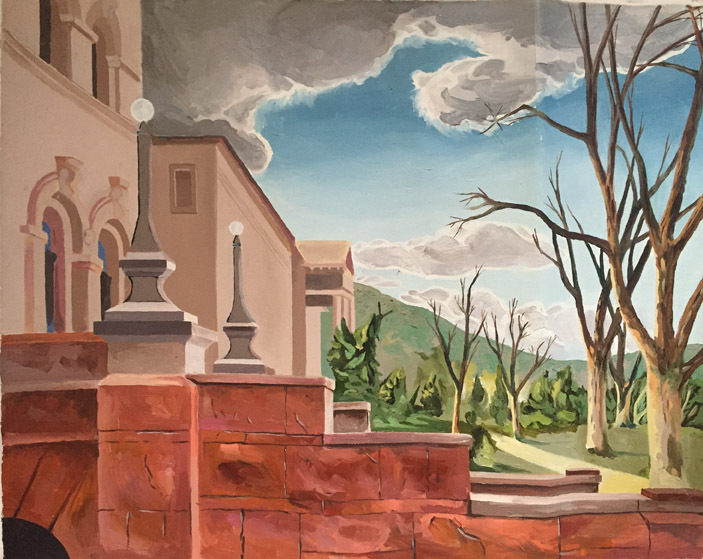 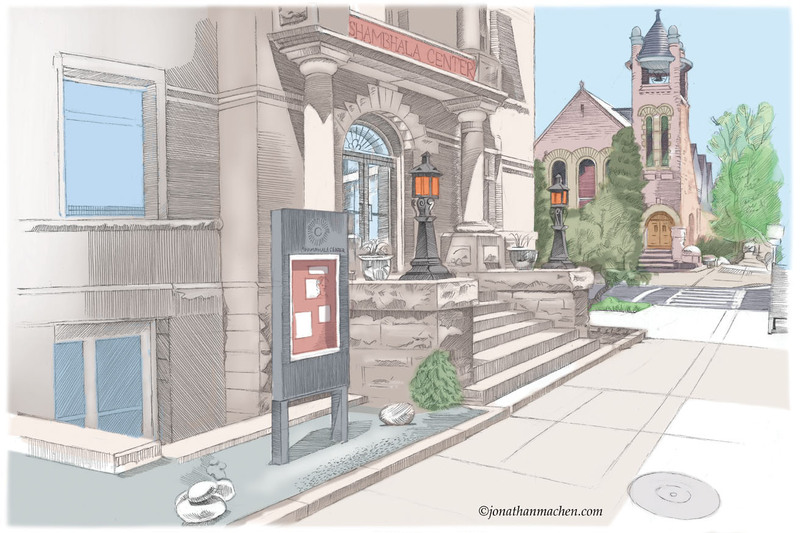 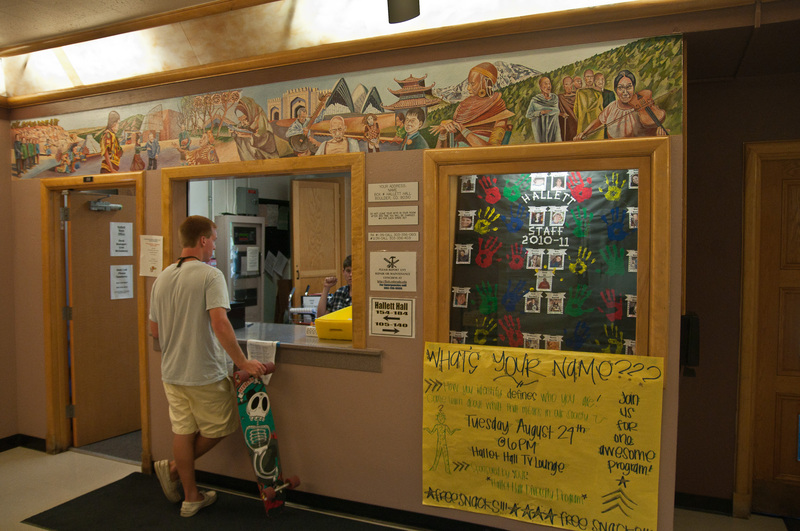 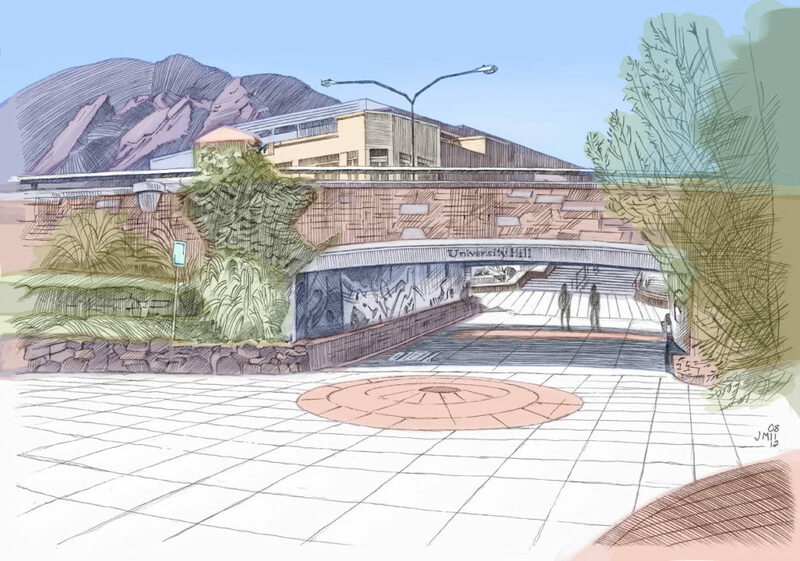 I also did a mural on campus, in Hallett Hall: you can see photos of that project here. 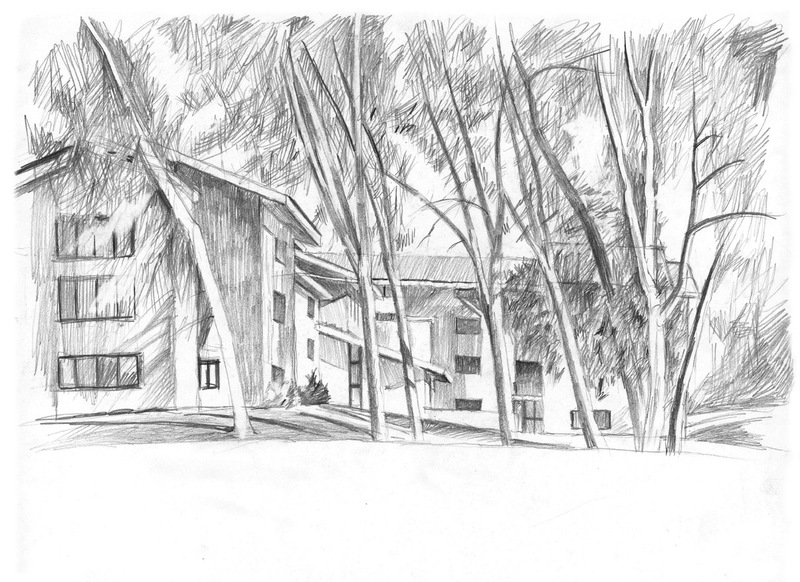 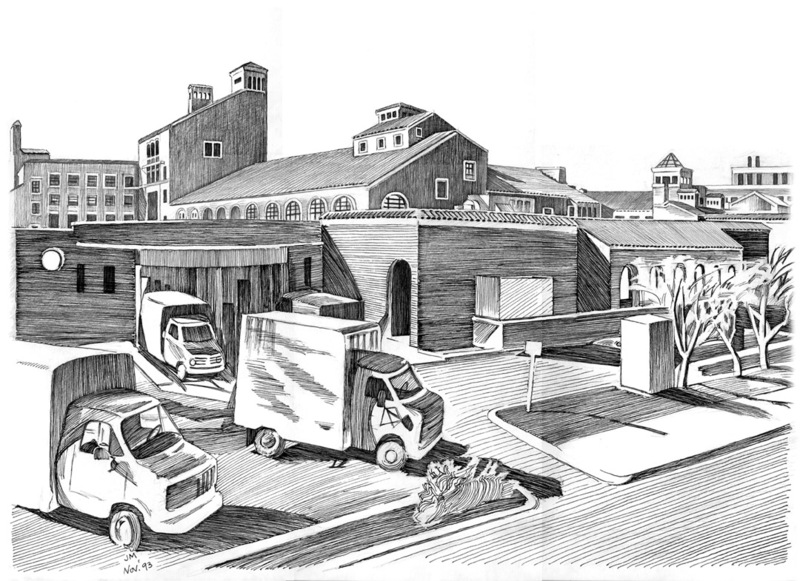 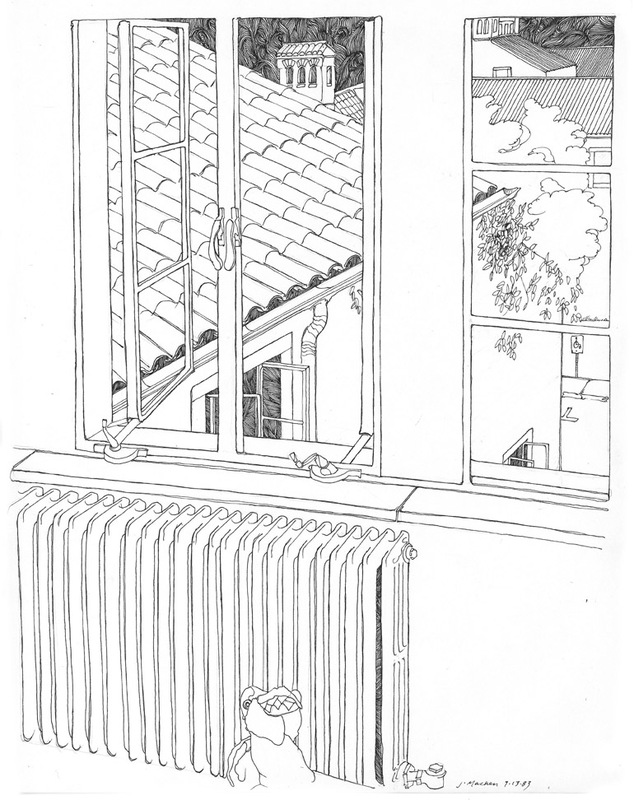 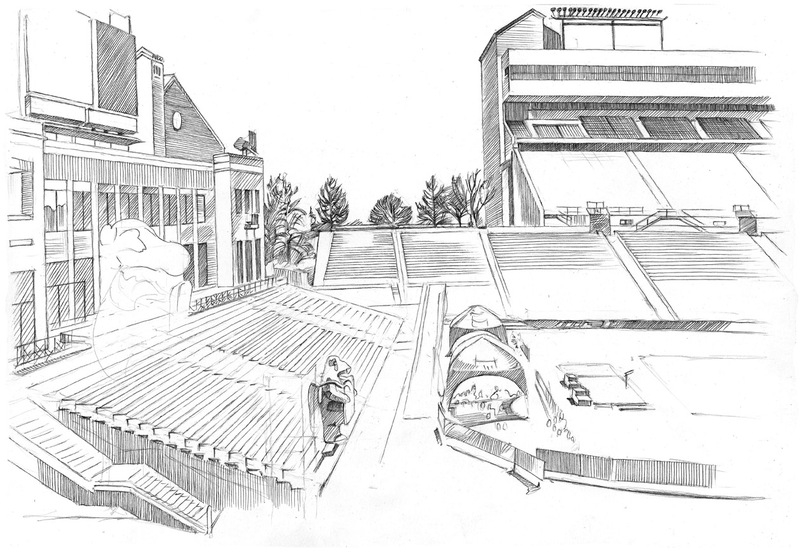 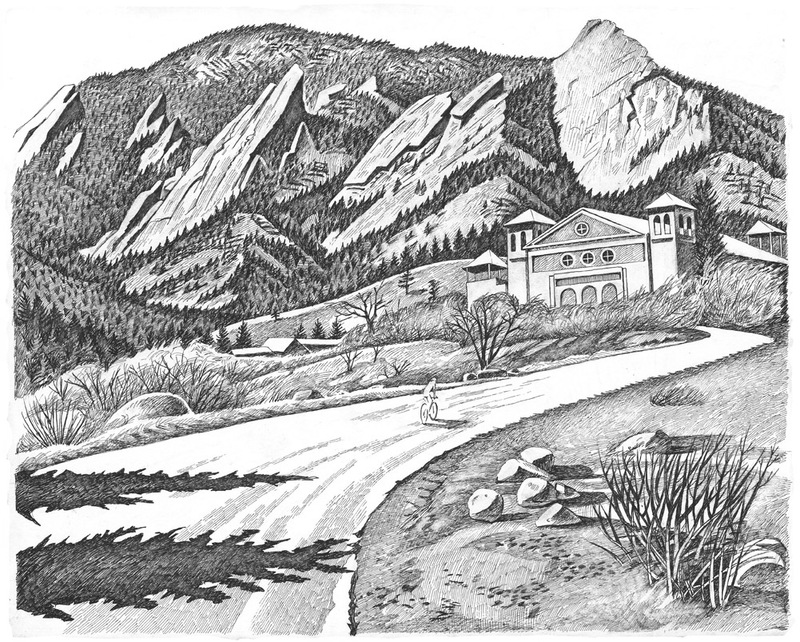 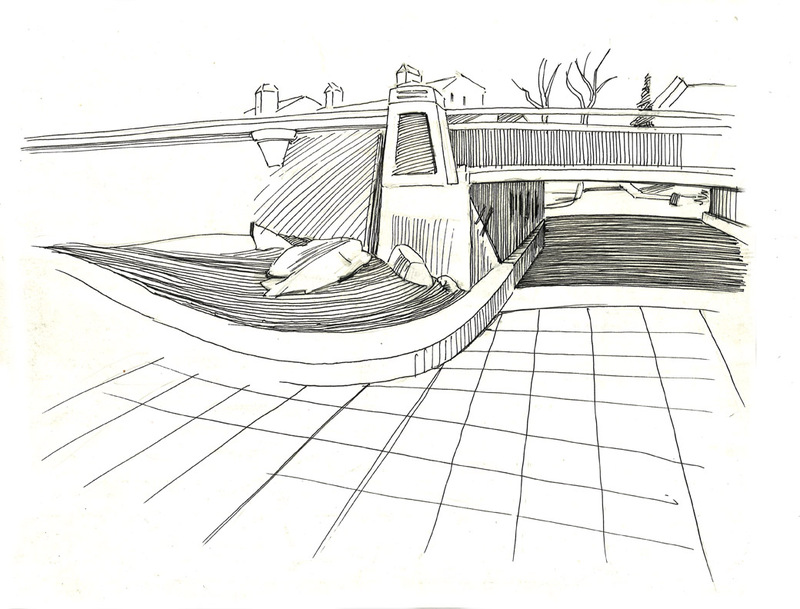 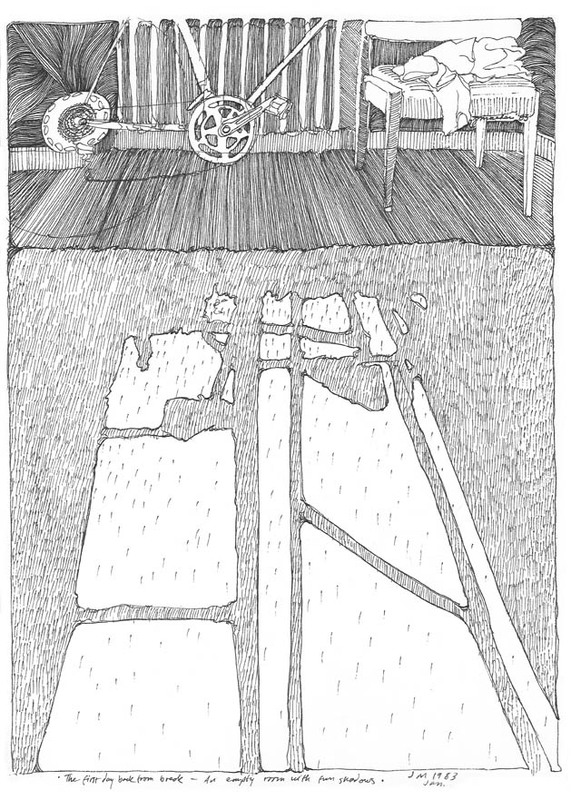 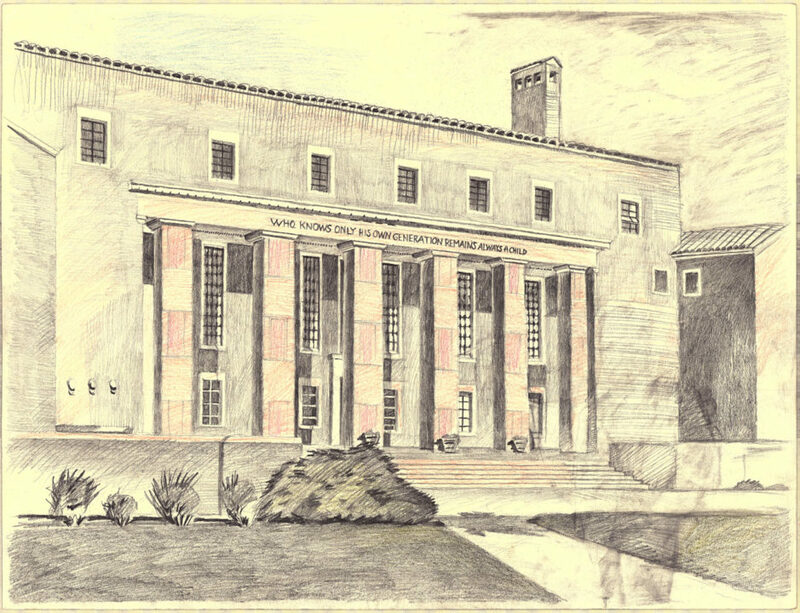 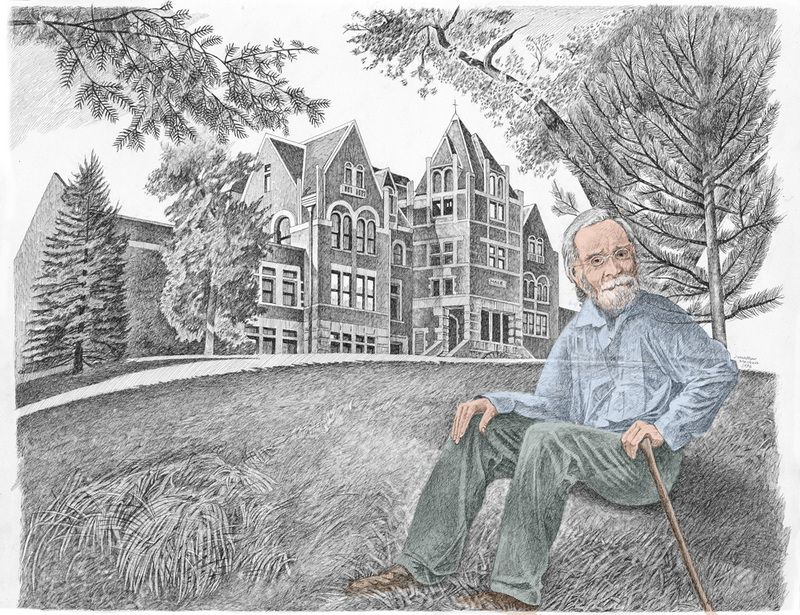 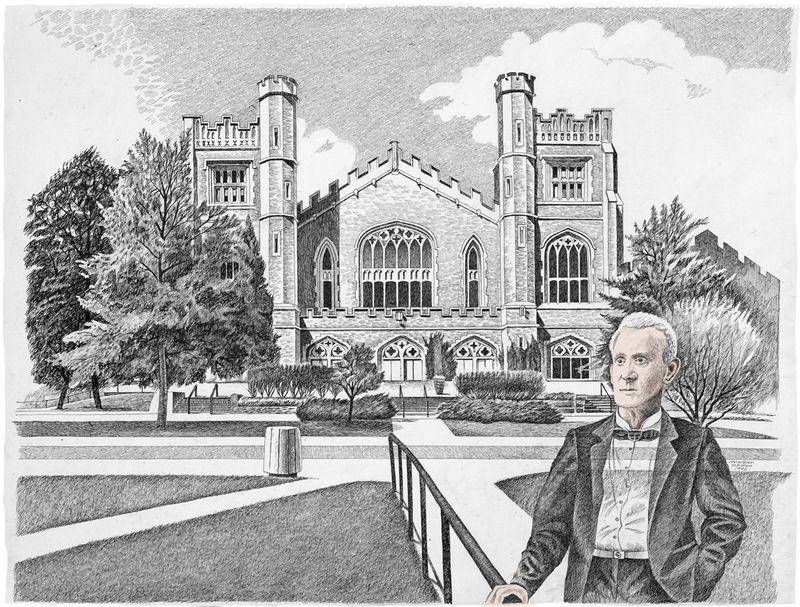 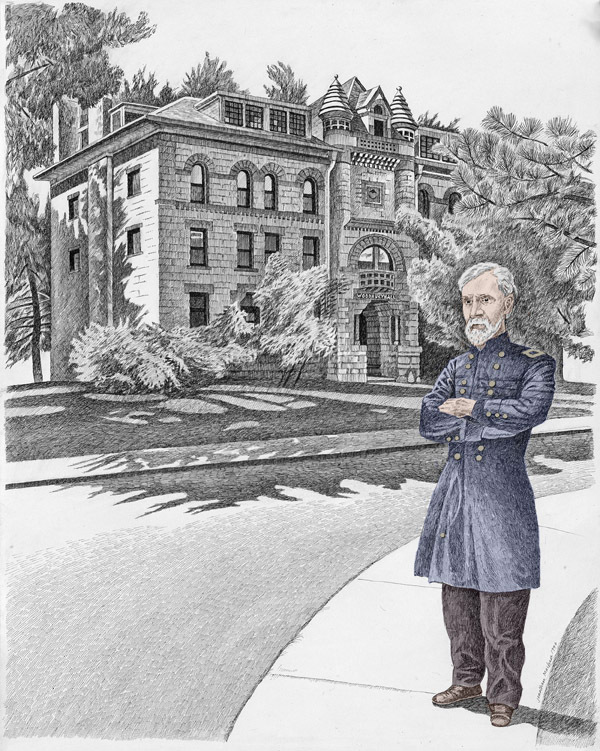 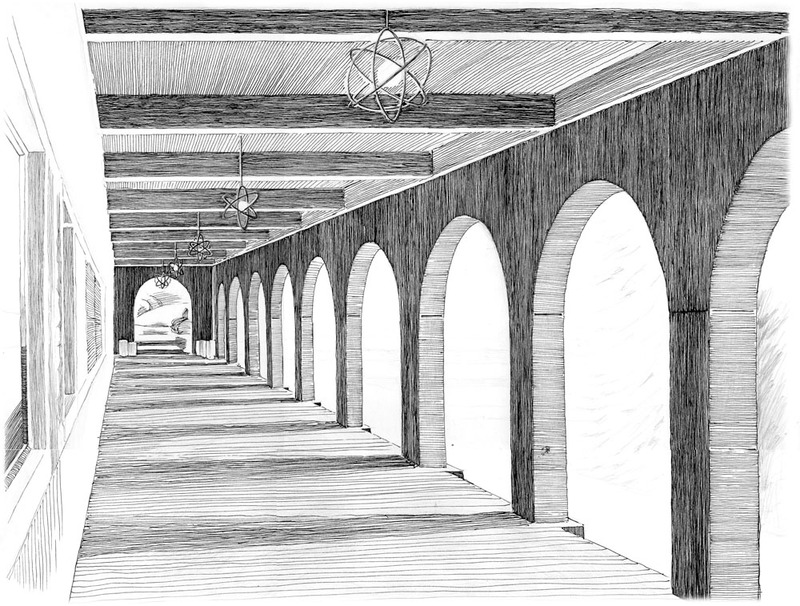 Wes Goodman, Farrand Hall, University of Colorado, 1982, Drawing by Jonathan Machen. 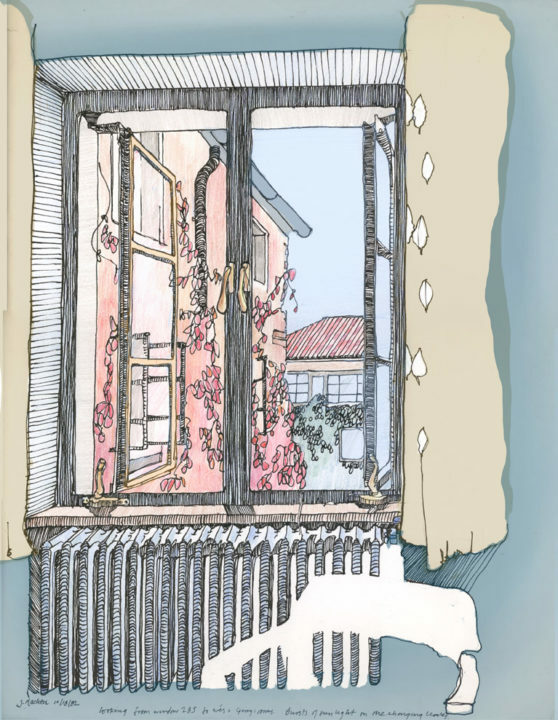 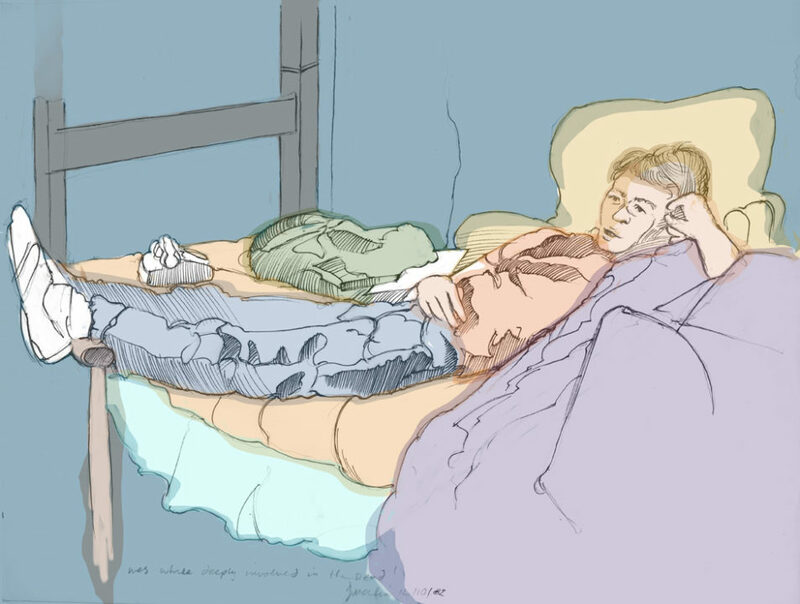 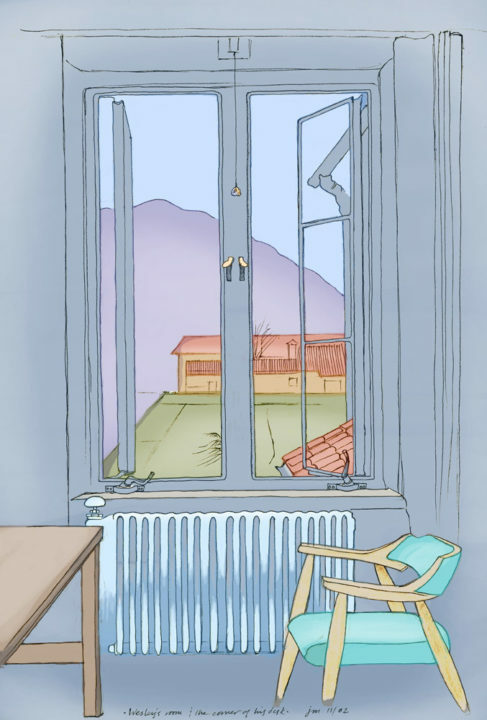 Interior view of room 287 at Farrand Hall, University of Colorado, November 1982, pen-and-ink and digital color. 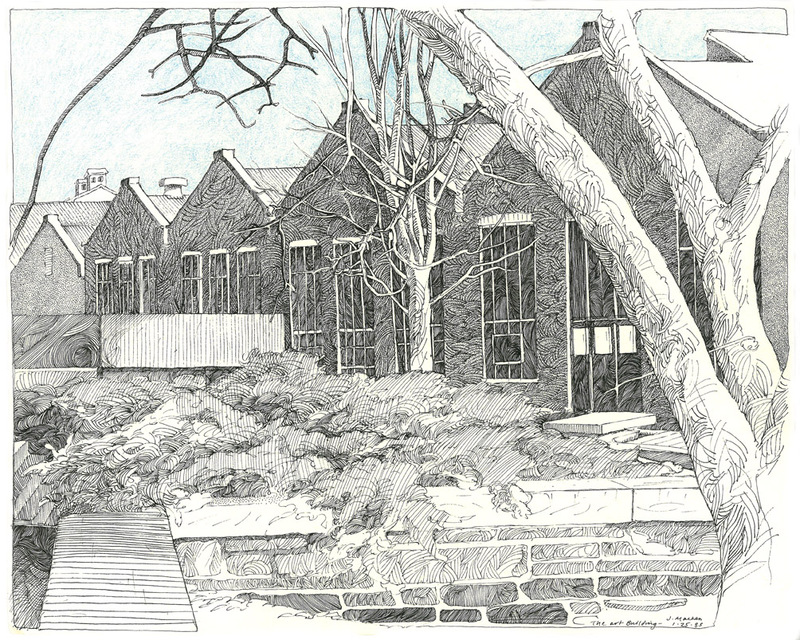 Sibell-Wolle Art building, University of Colorado, 1985.